Framed in the language of defiant truth-telling, Geoffrey Wheatcroft's views on Turkey and the E.U. add up to a wholly conventional rehearsing of haute pub talk ideas—of the kind you would have heard loudly offered in any century from the fourteenth onward, in robustly ignorant Western circles. “No, no, my dear fellow, the Turks are not like us.” For years, I heard these notions aired confidently by Colonel Blimpish friends at school and college in England. None of them had ever gone near Turkey. They, like, Mr. Wheatcroft, simply refused to take on board an entire century—the twentieth—of change and Westernization, and what it says about Turks: that they are not essentially anything, not Islamic, not Kemalist, Asiatic, or Middle Eastern. If Turks are anything at the core, they are adaptable; they evolve. In that way, they are perhaps more like the Japanese or Chinese than like people in other Muslim countries. That is why, in the twentieth century, they overthrew the Sultan, sided with the Kaiser in WWI, overthrew the Caliphate and took on Western habits, remained un-invaded and neutral through WWII, while giving asylum to thousands of Jews, then joined NATO, and so on. The story is not over; Turkey evolves apace, but Mr. Wheatcroft talks as if the Turks secretly never change, in some sinister, indissoluble way. All that nonsense about memories of the siege of Vienna being still vivid on both sides. Oh please! He manages to dismiss a vast, indeed the preponderant, chunk of Turkish identity—the Westernized, secular, and inclusive chunk—as merely skin-deep: “Kemalism was always, at heart, Turkish-ethnic in inspiration, and with deeper and more Islamic roots than many realized,” he writes. Well, Prime Minister Erdogan's Islamic AK party, at its peak popularity, got 40 percent of the national vote (polls show it's now closer to the mid-30 percent range). It did so with a great deal of help from Gulf oil investment, from public reaction against corrupt secularist parties, and from popular sentiment against the war in Iraq. That does not make Turkey a pro-Islamic country by any stretch. It does show that Erdogan is a highly skilled political opportunist. What Mr.Wheatcroft should be worrying about is not the absolute exclusion of Turkey from the E.U., but the consequences to Europe and the West as a whole if Turkey does indeed drift away eastward or southward in its loyalties. Russia is Turkey's second-biggest trading partner (after Germany) at $20 billion, with bilateral plans for trade to double or triple in the coming years. Turkey sells one quarter of its building materials to the Gulf states. Add to that the burgeoning business in East-West transit pipelines from oil and gas, Turkey may soon not need Europe any more than China does. (China and Turkey are now the main sellers of gasoline to Iran). So Mr. Wheatcroft is missing the central point: can Europe afford to let Turkey face the other way? This is not merely, or indeed at all, about Turkey joining the E.U. Turks who live in E.U. countries tend to become more religious than their counterparts at home. In many ways, the E.U. 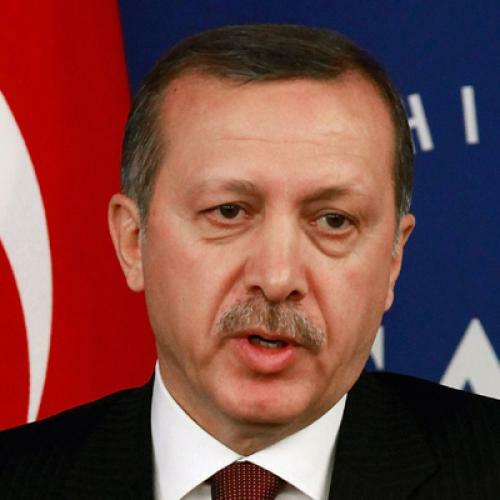 has a baleful influence on Turkish affairs. To Mr. Wheatcroft and Europeans in general, one wants to say, stop point scoring and posturing about East-West divisions. Turkey is still up for grabs culturally, as it always was, even under the Ottomans, whose millet system allowed non-Turkic non-Muslim minorities to flourish. Europe should be a major player in the struggle for Turkey's identity. For Europeans to flick a limp wrist and dismiss modern Turkey on the grounds of its otherness, as money pours in for mosques and madrassas from the Middle East, amounts to myopic complicity–the very thing that they allowed within their own countries with such destabilizing results. Melik Kaylan writes for The Wall Street Journal and Forbes. He was born in Istanbul.